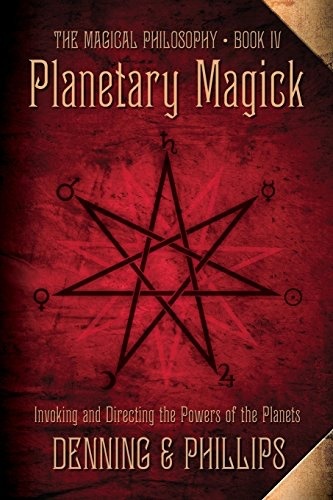 Llewellyn is pleased to bring back into print Planetary Magick, one of the most respected and sought-after magick books ever written on the topic of planetary spellwork, and now the fourth book in Denning and Phillips's renowned Magical Philosophy series. 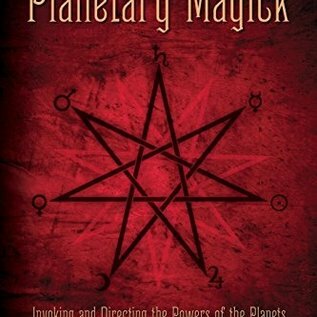 Planetary magick lies at the root of all astrological, alchemical, and Qabalistic lore. Although the planetary powers of the cosmos are far beyond our intervention, their correspondences in the depths of the psyche are within our reach through certain special meditative and ritual methods. The complete system of planetary magick is set forth here, and is designed for both the beginner and the established mage. This book includes 65 classic magical rites in full detail and provides the reader with a thorough understanding of the foundation of Western Magick. Osborne Phillips and the late Melita Denning were internationally recognized authorities on the Western Mysteries and two of the foremost exponents of the Ogdoadic Tradition, the premier hermetic school whose influence and works are historically traceable for the past one thousand years. The authors received their esoteric training in the magical order Aurum Solis, which was founded in 1897 and is still active today.